The Google Nexus 4 is an elusive handset - offered at half the price of its competitors, it is one of the most coveted smartphones out there, but it’s not so easy to buy it. The Nexus 4 at its affordable $299 starting price off contract and on Google Play was available in extremely limited quantities at launch and has since then gone out of stock more often than it was in stock. After weeks off the market, today, the Nexus 4 has finally appeared up for sale in Germany and it is believed that it will hit the U.S. and Canadian Google Play stores later on today. Keep that finger on the refresh button. If you are wondering what’s the reason for the extremely limited supply of available Nexus 4 devices, LG France recently revealed that it’s simply a matter of insufficient orders from Google. The search company allegedly miscalculated demand using data from its Galaxy Nexus sales. It’s hard to believe, though, that Google, the data company, would not be able to predict the demand for a $299 high-end smartphone (similar Galaxy S III costs in the $600 ballpark, just for comparison). 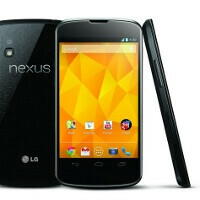 Hopefully, LG will live up to its promise and supplies for Nexus 4 will get better starting in mid-February. Twas a cover up for LG, Google probably had to make them realize they have to stock it. How fast will it sell out in the States? I'm pretty sure I won't even have a chance at one. Well, I bought one! A Black 16GB Nexus 4! I hope it's worth it! That money could have gone to more nefarious things. Wow the N4 is backk..! I hope to see a launch in India too ..which is very unlikely to happen :-/ About the order, hmm, may be Google underestimated LG's capability to give out a good Nexus and hence didn't ordered much, lols. hahaha...but in contrast they just made the best Nexus ever to date...! It's back in stock in the US! Everyone who wants one go now! Just sell you old phone and pay the difference. That's what I did last month with my VZ account. Now I'm just hoping to recuperate at least $275 for my One S to offset the cost of the Nexus 4 I just ordered. I plan on selling my gnex with my account. It should be enough to cover the cost of the nexus 4. I am so happy to ditch verizon.